It can be especially important to replace chipped glass in windows, frames, and mirrors, as these chips can compromise the integrity of the glass which could lead to a dangerous situation. We can custom cut a variety of glass to meet your specific project’s needs. Call today for a quote. With over nine years of experience, we have replaced countless house windows and our technicians are able to accommodate nearly every situation. Whether the damage was caused by an errant baseball or a rock thrown from the lawn mower, we have seen it all. 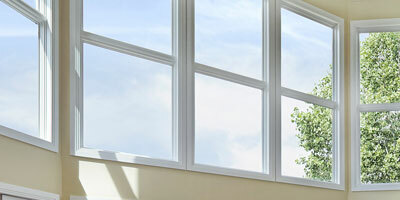 If a window in your home has been chipped or has broken completely, we will send out an associate to perform an assessment and take measurements of the compromised piece. From there, we will customize a piece of glass using high-quality materials to ensure that it will fit securely into position. We can also repair the screens! 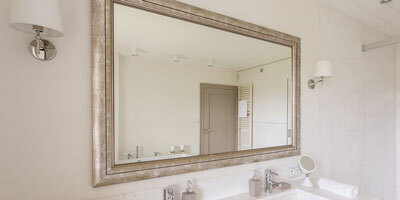 Whether you have a chipped mirror in a residential or commercial setting, it is important to get the mirror replaced. Chips in mirrors can cause them to become fragile and the slightest bump could lead to extensive crack occurring. Our trained technicians will be able to replace the chipped mirror with an exact match of the same quality. Do you need just the right size glass for that custom project? 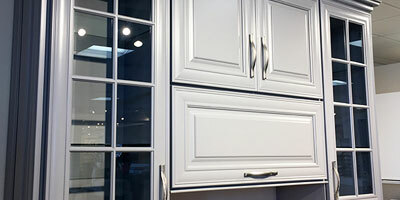 Our expert can cut glass to any specification, including custom fit for cabinet doors. Whether you are updating wood cabinets, restoring an antique or building something uniquely suited to your home, a custom piece of glass, expertly cut to complement your vision, will elevate your project to the next level. Picture frames are often expensive, and many times owners will discard the entire frame if the glass becomes damaged. 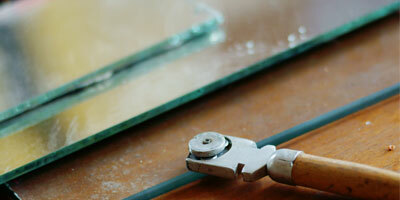 However, this is not necessary, as the glass within the frame can easily be replaced with the right tools. At Lakes Glass, we can custom size any piece of glass, so we are sure to have a replacement that will fit any picture frame. 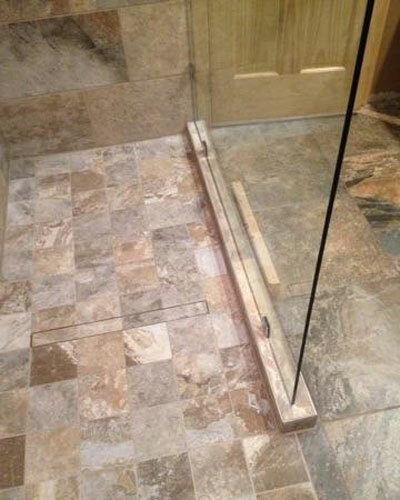 For years, Lakes Glass has been providing customized solutions for shower enclosures. We offer a wide selection of enclosure choices that are sure to meet your needs. 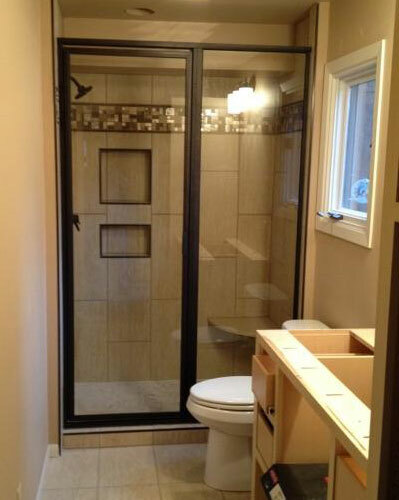 Frameless shower doors are some of our most popular models because of their crisp, clean look. Not only are these enclosures visually appealing, but they are also easy to clean and maintain. Neo-Angled enclosures can take your shower to the next level and set it apart from standard enclosures. Our technicians will come to the home and meet with the owner to find a customized solution that will not only add to the functionality of the shower but also the character. If you are looking for that spa experience then you will want to consider a glass steam shower. 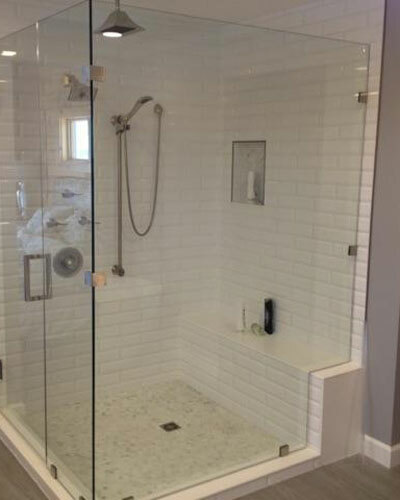 For the glass steam creation process, we use only high-quality tempered glass to provide a safe and unique shower enclosure. Also known as shower shields, a splash panel is a perfect way to enclose your shower while maintaining a minimalist design. We offer a variety of splash panel designs, such one-piece units, and folding units. 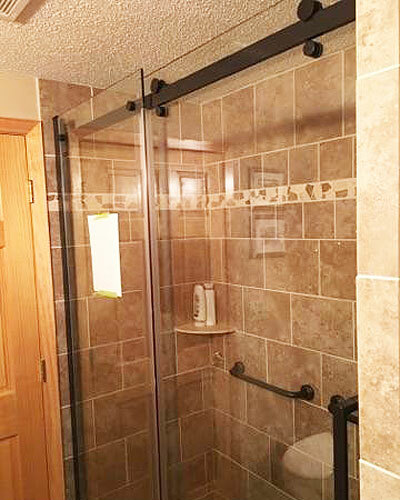 Often regarded as traditional in style, sliding glass doors can be implemented in nearly any type of shower design. However, the term traditional no longer holds the same meaning, as our sliding glass doors are unique and stunning in design. 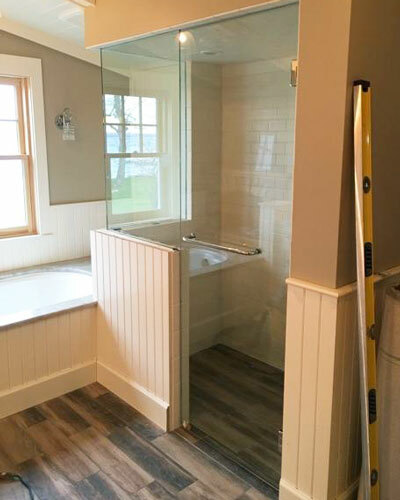 Framed glass doors come in a variety of shapes and sizes, so there is no doubt that we will be able to create one that will meet any shower enclosure design. Framed glass doors are known for their durability and striking appearance. 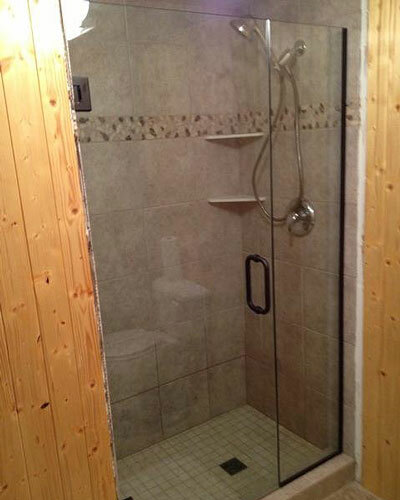 If you have any questions regarding our shower enclosures or you would like to know more about the different styles and options we offer, do not hesitate to contact us to get started on a customized solution for your shower.